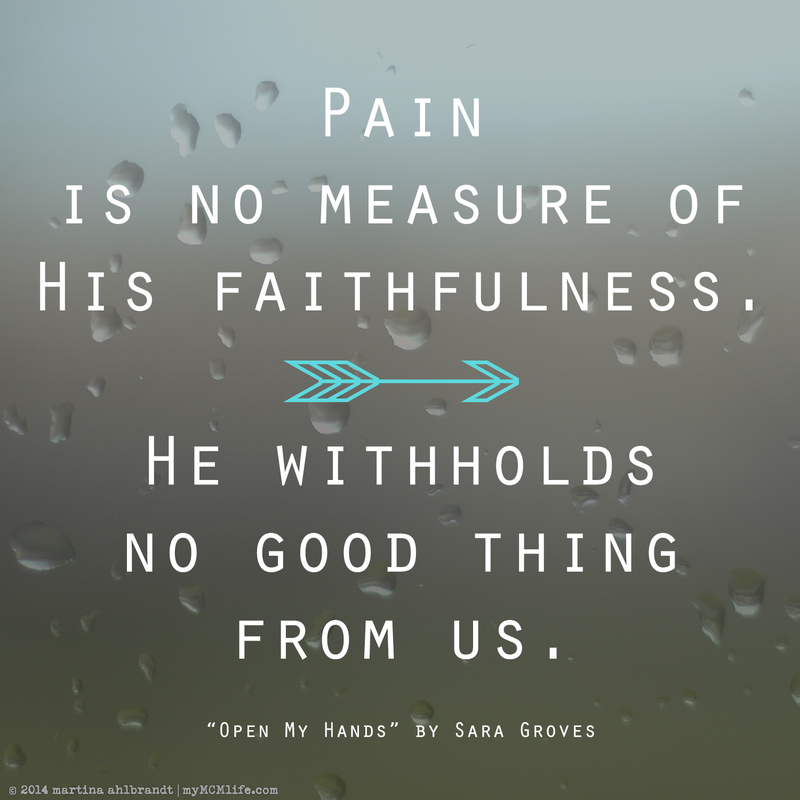 When I was struggling with anger, grief and justice recently, a thoughtful friend shared an encouraging note along with this song “Open My Hands” by Sara Groves. It spoke deeply to my soul, especially the two lines above. I hope it encourages you. Psalm 84:11 says For the Lord God is a sun and shield: the Lord will give grace and glory: no good thing will he withhold from them that walk uprightly. This entry was posted on Monday, June 9th, 2014 at 6:00 am and is filed under Art, Art: music, Faith, Other, Other Things: Wise Words. You can follow any responses to this entry through the RSS 2.0 feed. You can skip to the end and leave a response. Pinging is currently not allowed.